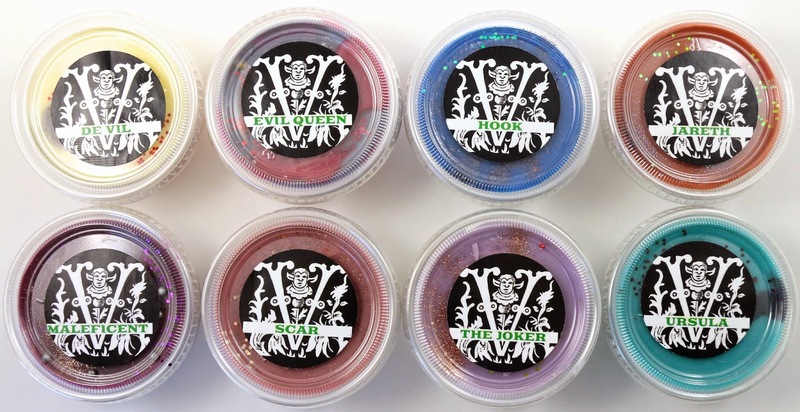 Sugar & Spite recently started doing wax tart sets and I saw the first horror movie themed one and knew I had to get the Villains Wax Sampler. They looked so beautiful and the scents seemed so unique and interesting. I finally bought a tart warmer, and tried these out! 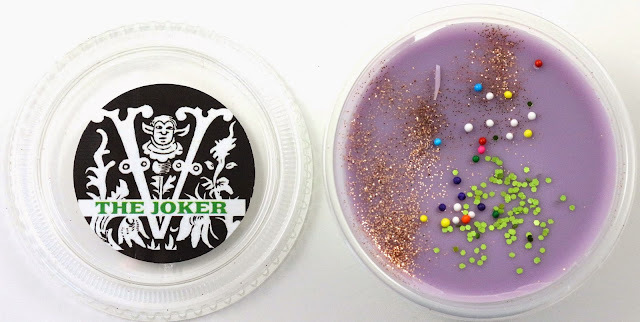 Sugar & Spite is an indie company I hadn't tried yet, but I'm so glad I was able to for the first time with this wax tart set inspired by Disney and other fictional villains! About - Sugar & Spite is an indie company that specializes in perfume, soap, and recently forayed into wax tarts. They are owned by Lysa, and based out of California. They have also offered a horror movie themed wax tart set, and just released their Gods & Monsters collection. How freaking cute is the packaging!? I loved it, it was a treat just opening everything. Shipping - My order was a preorder essentially, so it shipped 12 days after I ordered. It arrived in 2 days via USPS Priority 2-day from within California. Product Size - Each wax tart is 2 oz in a plastic container. Free Samples - I received one free wax slice with my order. 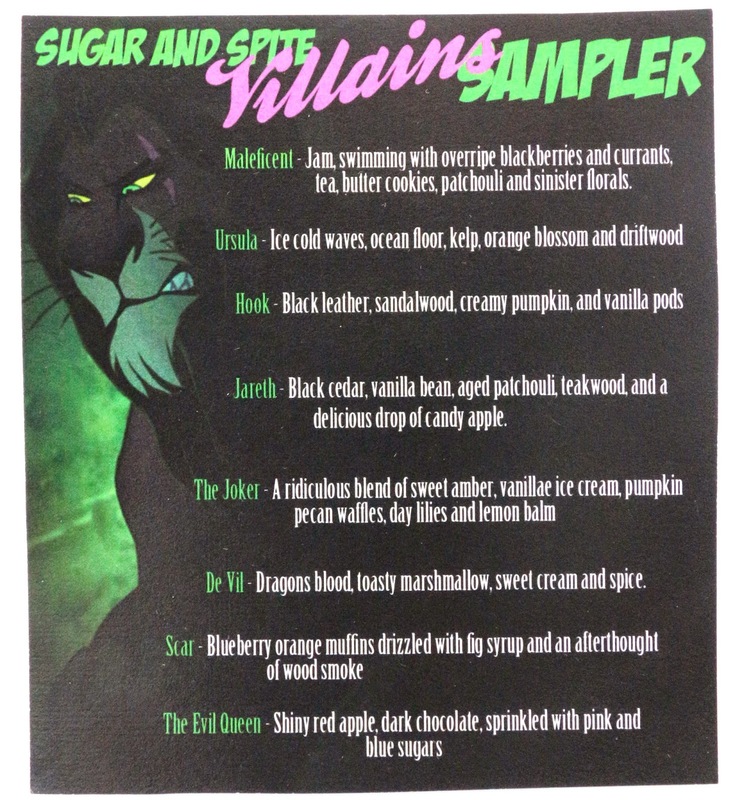 Here's the little info card that came with the set, with all the names and scents of each tart. They're already so pretty without even opening them! I probably should have taken side shots of them, but just to note some of them have glitter at the bottom, and a few have two different colored layers. 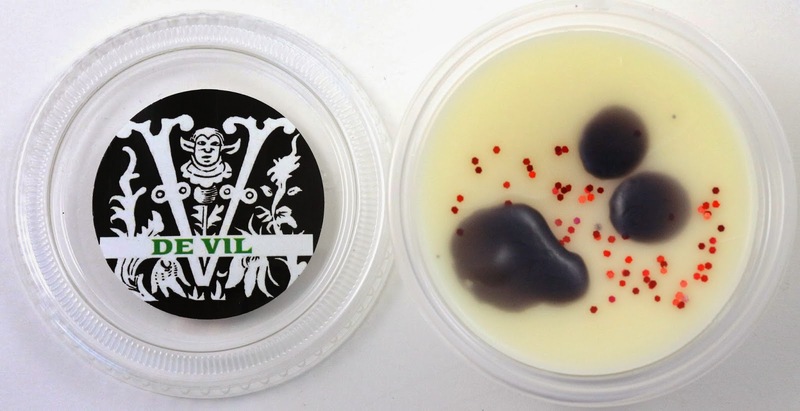 De Vil - "Dragons blood, toasty marshmallow, sweet cream and spice." I knew I was going to love this one because I love dragon's blood scents. And mixed with the creamy marshmallows, it just makes this tart warm and cozy, with a touch of darkness. And did you notice the spots? Like dalmatians? So perfect. 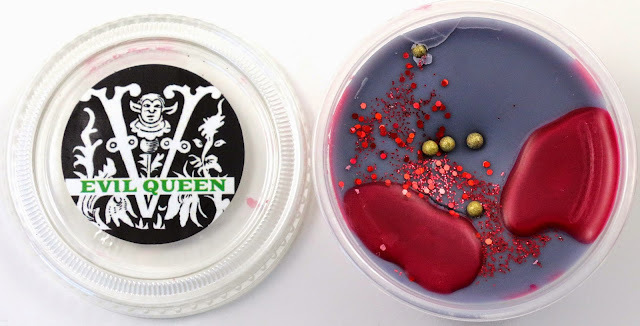 Evil Queen - "Shiny red apple, dark chocolate, sprinkled with pink and blue sugars." I feel like I should have been able to guess this combination, but once you read the notes you know what it is. Tart apple mixed with deep, dark chocolate. The mix of sweet and tart makes a great combination. This is also probably my favorite looking one, I love the big drops of red on the top. 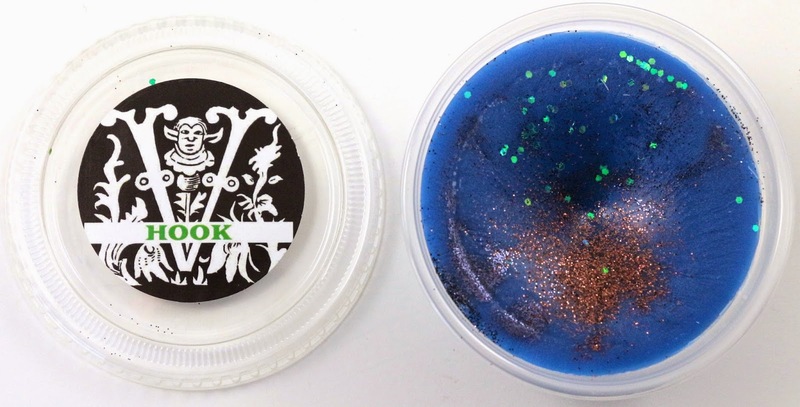 Hook - "Black leather, sandalwood, creamy pumpkin, and vanilla pods." I never would have guessed leather and pumpkin would be a good combination, but it is. It's creamy, but leathery, and a touch of vanilla. You can really see it with this one, but some of the tarts middles sunk in after solidifying. I'm not sure what causes that, but it didn't bother me. Most of the ones it happened to are very full. Jareth - "Black cedar, vanilla bean, aged patchouli, teakwood, and a delicious drop of candy apple." This smells like a sweetened vanilla version of cedar, probably the most masculine and winter-esque scent of the set. It's very woodsy, so I'll most likely save this one for colder months. The added bit of vanilla gives it a sweet edge that goes well with the strong woodsy notes. 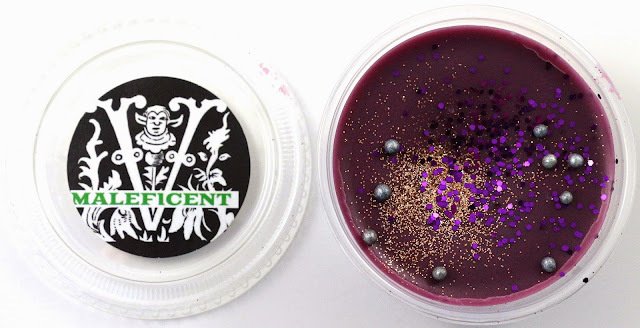 Maleficent - "Jam, swimming with overripe blackberries and currants, tea, butter cookies, patchouli and sinister florals." This is a yummy mix of fruits and baked goods, with hints of deeper notes. It's heavier on the buttery cookies than the berries. I love the combination of toppers on this one too, the purple, gold, and silver look great together. 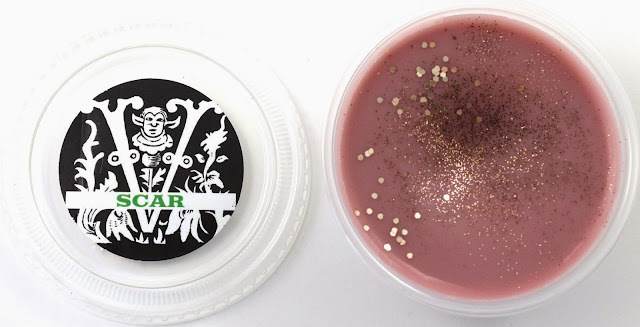 Scar - "Blueberry orange muffins drizzled with fig syrup and an afterthought of wood smoke." This has the blueberry note up front, with the sweet fig syrup and a bit of smokiness in the background. This is one you definitely feel smells like baked goods, but it was hard for me to pinpoint it before reading the notes. The Joker - "A ridiculous blend of sweet amber, vanillae ice cream, pumpkin pecan waffles, day lilies and lemon balm." This is another crazy combination, with a mix of sweetness, a hint of citrus, and a touch of florals. This is definitely one I wouldn't have guessed on my own. It does have a green layer on the bottom, so I think the mix of purple and green is perfect for the character. 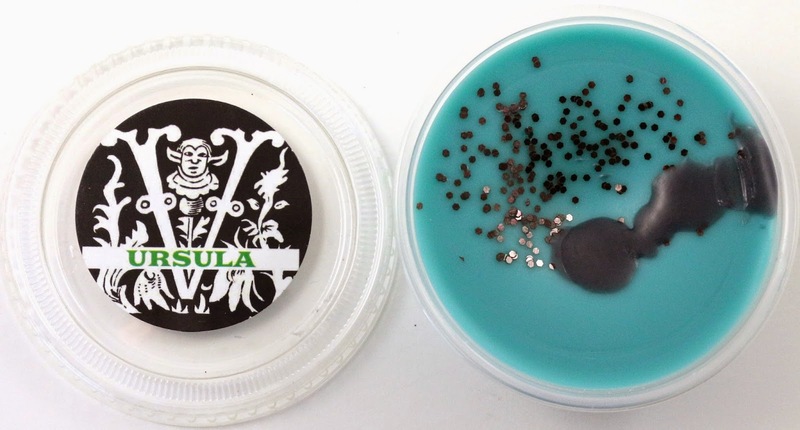 Ursula - "Ice cold waves, ocean floor, kelp, orange blossom and driftwood." This is probably the lightest smelling of the bunch, and the most appropriate scent for summer. I can pick out the hint of orange blossom, as it usually smells quite bitter to me. But a very nice ocean aquatic, with hints of green and florals. Everyone who ordered this set got one of two possible free tart slices with their order. I believe it was either a pink or a blue one, and I got the blue one. I thought it smelled like raspberries and lemon cake, but according to Lysa it was zucchini bread and grape soda! I never would have guessed that, but it was awesome! I already burned it for a week and the scent finally faded. I hope that one makes a comeback, I would definitely buy a full size. I forgot to get a separate picture of it, but it didn't have a label. The pink one if you got it was supposed to be rhubarb and amber. 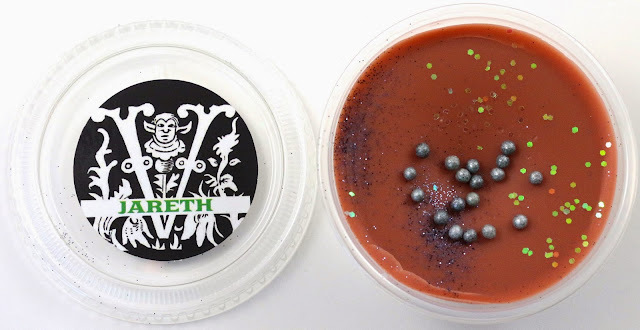 Customer Service - I did not have to contact customer service regarding a problem with my order, but I did email before ordering about the status of the horror movie wax tart set that released before the Villains set. I inquired about whether or not that would be coming back since the listing for it in the shop does say it could come back, but their Facebook page doesn't mention anything about that. I never got a reply, but instead noticed a status on the Facebook page noting they were still getting emails about it, yet gave no answer to my question, and no email reply. I thought that was a bit off-putting considering my question was basically yes or no, it wouldn't have taken long to reply. And considering I wasn't a customer yet, a reply back could have meant the difference between a new customer or a lost sale. Obviously, I did end up ordering, but it left a bad taste in my mouth to post about it instead of just emailing me back. Availability - This set is currently unavailable and it is unknown if it will ever return. However, customer favorites will make a return as full size tarts. Overall Satisfaction - I think my favorites are De Vil and Evil Queen, but I also really like Ursula just for being so different from everything else. If you love warm cozy scents, this set is for you. I would absolutely recommend any wax tarts you can get your hands on from Sugar & Spite. 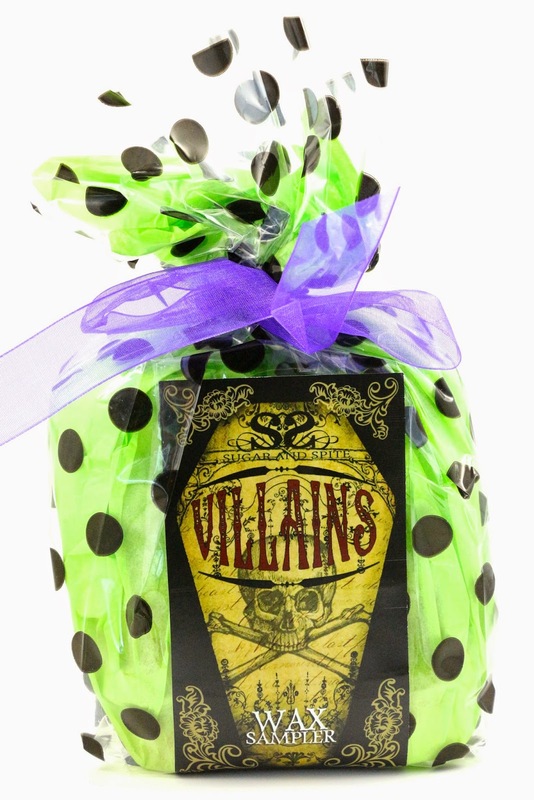 What did you think of the Sugar & Spite Villains set? Let me know in the comments!